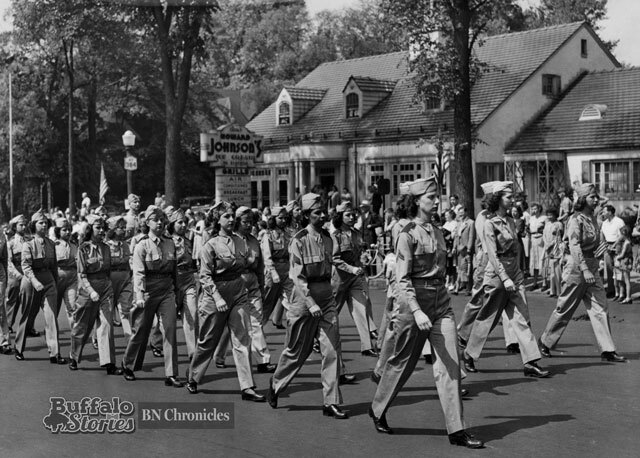 The subject of the photo is clearly the women marching in a World War II era Memorial Day parade, but happily captured along with the ladies paying homage to our nation’s war dead is Buffalo’s original Howard Johnson’s Restaurant. Generations of Americans remember the homestyle dinners and 28-flavor ice cream selection at the more than 1,000 Howard Johnson’s orange-roofed locations around the country. Buffalo’s most popular HoJo’s was this one at Delaware and North starting around 1941. 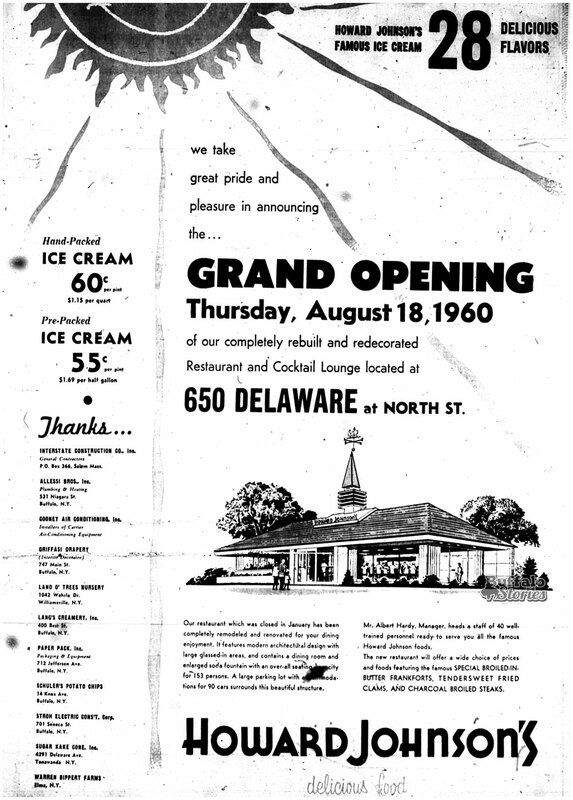 The restaurant was a part of the sometimes-strange development of Delaware Avenue. Working class families piled out of wood-paneled, American-made station wagons right across the street from the home of News Publisher and Buffalo aristocrat Edward Butler. The restaurant was remodeled in 1960, and remained a familiar landmark for the next three decades. Walgreens purchased what was Buffalo’s last Howard Johnson’s location and built a drug store at the site on Delaware and North in 1994.